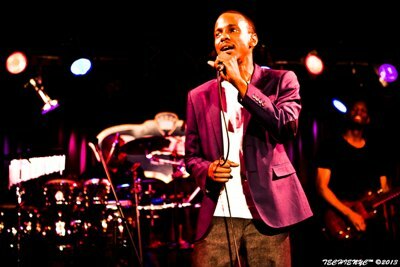 He was away for more than a decade and finally crooner Tevin Campbell is back and will be performing in South Africa. The 3 city tour will have Dandelion singer visiting Port Elizabeth, Cape Town and Johannesburg. For someone who has been out of the limelight for a while, Tevin Campbell is overwhelmed by the love he has received in the country.
" You can expect my new project later in the year, in my album I’ll get a chance to tell my story. "I’ve never had a chance to tell my story before because when I was young and many songs were written for me and I’ll just get into the studio and t record. This time around it’s different because I’m writing my own lyrics." The Grammy award winner says that fans can expect a great show in South Africa but he admits that he is a bit on edge about the show. “I am very nervous but that’s because I respect my craft,” he concludes. You can buy your Tevin Campbell ticket at Computicket. Q: What is the name of Tevin Campbells album which won a Grammy award in 1991?